Self-study is one the powerful tool which can bring revival to your learning filed. Indeed, study is not just for the night before an assignment or before the exam. Our brains can potentially memorize 2.5 petabytes of information. 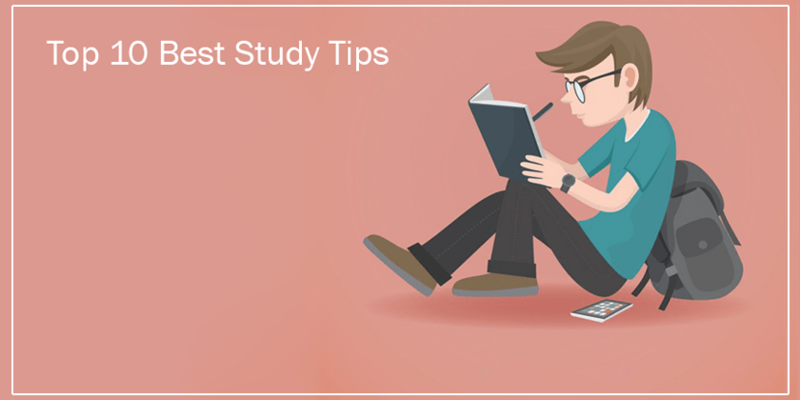 In order to use some of that capacity little more effective when you learn, here are top 10 best study tips based on widely accepted research by neuroscientist and learning experts. To maximize your learning, study shortly but often. Neuroscientists proved that synapses, the million connectors in your brain that make you understand and remember stuff, grow mainly at night when you are asleep. This means that it is more productive to study regularly with sleeping breaks in between. practice something for 15 minutes every day and you will be surprised by result within weeks. Some enjoy studying with friends while others sitting between millions of books alone and quite. Hence, everybody is different. Sleep and dreams play a vital role in processing and storing information. A Harvard study shows that students who had a good night sleep remember their study material 35% better than those who studied in the morning to take the test in the evening. Set a timer to 25 minutes when you focus entirely on your studies. When the timer rings, relax for 5 minutes. If you want to continue, set the timer again. The small breaks in between are relaxing and motivating to keep going. Do the hardest of your all stuff first because you have the most willpower, energy, and motivation in the morning. This will make you feel better for the rest of the day and probably more motivated to get things done. There are few exercises proven to grow your brain. However, physical exercise, regular meditation, and good conversation apparently do the exact job. They lead to the creation of new neurons inside your brain and therefore grow its potential. You can create deeper memories of a subject by learning in a rich environment that offers more visual clues. In an experiment, two groups of students were asked to remember random words. One group changed the classroom while studying, the other did not. The group that studied in two different rooms was 44% more likely to recover words later. Whatever it is, find a fun way to practice. Modern learning science believes that positive emotions are very important for increasing your learning potential. So do yourself a favor and make everything fun and enjoyable. In order to remember things for a longer time, repeat the material in spaced intervals. for example, Facts or vocabularies are best learned if you review them the first time 1-2 days after the first study and then again after 1 week and after 1 month. Immediate recall in form of a text or a short summary on what you have just learned can increase your retention by as much as 30%. Because it is much harder for your brain to reflect than to read, that extra effect creates deeper traces to your memory.